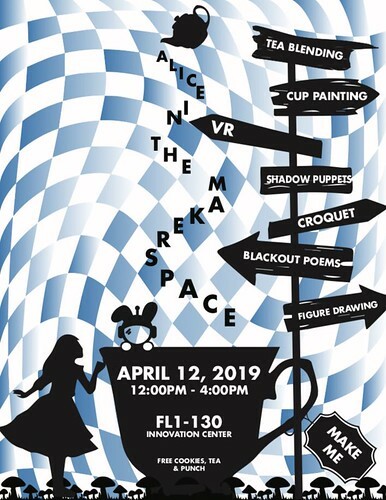 FLC’s Falcon’s Eye Theatre is staging a spring production of Alice in Wonderland, and the Innovation Center decided to host a party to support the show. Toward the end of the party, we walked down to the Harris Center for a preview of some of the visual effects and technical theater magic that will be part of the show, which opens in a couple of weeks. The show promises to be a technical tour-de-force, with shadow puppets, real-time motion capture, facial recognition, live compositing, and other visually stunning techniques. The Falcon’s Eye Theatre always puts on a wonderfully creative production, and this one looks to be pushing the envelope. Can’t wait for the show! 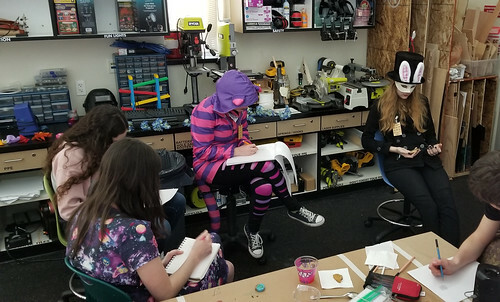 Makers Wanted: As American manufacturing struggles and California employers face worker shortages, will investment in educational makerspaces help strengthen local industry?